Green Life Hospital Contact Number and its doctor’s list with short description are integrated here carefully. It was the year 2005. A group of the 50 renowned doctors’ of the country inaugurated the Green Life Hospital in Dhaka with the view of high quality healthcare services in Bangladesh. 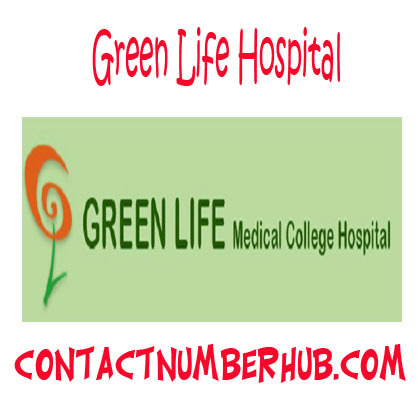 They named the hospital as Green Life Hospital and it gained huge success within a few years. This great success made them enabled to decide establishing a medical college as a non-profit, non-government and a self financing project to serve the humanity. As a result, the medical college came into its existence in the year 2009. It started with 51 students in 2010 and currently it enrolls 110 students per year. Some seats are reserved for the students of other countries than Bangladesh. Green Life Hospital continues to improve and evaluate its programs to ensure the top quality medical services through its hospital and medical college. Its educational strategies are creating a conductive learning space to steer up it students to get proper knowledge, temperament and skills to practice medicine to be an expert health care professional. Green Life Medical College is approved by the Ministry of Family and Welfare, Bangladesh Medical & Dental Council, Government of Bangladesh and affiliated with the University of Dhaka. · It provides proper learning environment for the students to acquire sufficient practical and theoretical knowledge. · It researches with medical sciences to measure the standard and quality of medical study in Bangladesh. The Green Life Hospital College campus is located at 32, Beer Uttam KM Shafiullah Road (Former Green Road), Dhanmondi, Dhaka. It’s located at the heart of the city in the very good facilities of communications. The complex of the medical college and hospital is completely air conditioned. It can host about 550 patients at a time. Contact Number of Outdoor (24 Hours): 029612345, PABX-221. Prof. A.K.M Anowar-ul Azim, B.Sc. MBBS, FCPS (BD), FICS, FICMCH.